Now Income Tax has aimed at easing taxpayer Return Filing process. I-T returns online will no longer have to send the paper acknowledgement by post . Aadhaar-based electronic verification code has been launched to authenticate this document. In the ITRs for 2015-16 e-filer can provide his Aadhaar number which will have to be authenticated on the official website of the department via a One Time Password (OTP). 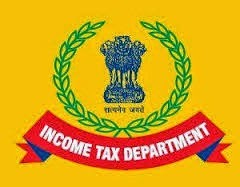 The person who file the return no longer need to send the ITR-V paper document to the CPC in Bengaluru.Tax payer will require the e-filer to register his Aadhaar number in the ITR after which the UIDAI database will send an OTP to the registered mobile number of the taxpayer which subsequently will have to be authenticated on the e-filing website. As per present rules, a person who files his or her tax return online has to send a copy of the ITR-V to CPC within 120 days for processing of the return.